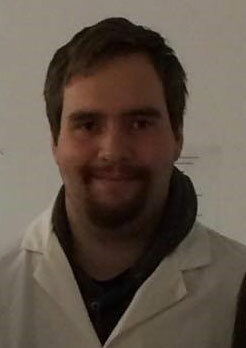 Chris BrodieMZool Chris Brodie has recently been successful in his application for a PhD position at the Ecosystems and Environment Research Centre, Salford University, working with Stefano Mariani and Katherine Yates on the NERC-funded StockDNA project in the Mariani lab. This project is a collaboration with Bristol University and CEFAS and aims to optimise the use of environmental-DNA in marine fisheries to significantly reduce the costs and ecological impacts of monitoring activities. Chris is currently investigating the bacterial assembly in gut microbiomes with Gary Carvalho. Specifically, he is simulating data from William Perry’s PhD project on the salmon microbiome project to examine influences on gut community assembly between bacterial taxa, in the mid-gut, from the three genetic backgrounds of the Atlantic salmon; Farmed, Wild and Hybrid.